Everyone knows you can trust a Hufflepuff. 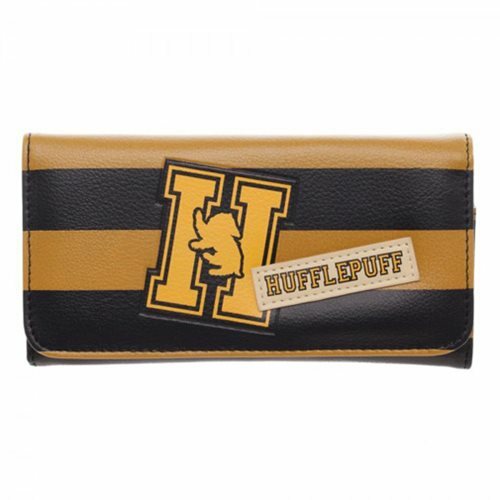 Go ahead and trust this Harry Potter Hufflepuff Flap Wallet too! With a stripped design which features the house colors and logo, there are multiple flaps and card compartments inside for you to keep your valuables safe and secure.